Since our beginning, Chambers Steiner & Sturm, P.L.C. 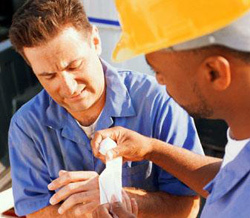 has represented workers injured on the job who are entitled to worker's compensation benefits. We handle worker's compensation cases throughout the State of Michigan. We have achieved more than 10,000 favorable awards for injured workers. © 2015 Chambers Steiner & Sturm.